IT’S THE COLOUR THAT MATTERS……. THE WALL as they call him has finally given into to the demands of International Cricket and his ageing body and retired. 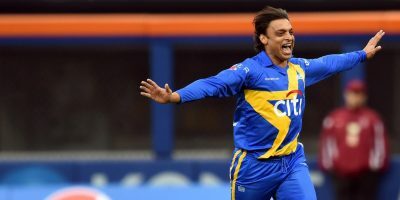 Thus, he bade adieu to one of the most successful yet unglamorous cricket career seen in the Indian Cricket World. Rahul Dravid had been the architect of many memorable wins both in the subcontinent and overseas. Rahul Dravid who for some reasons never entered the trinity of Sachin, Lara and Ponting although he always made it to the pantheon of all time cricketing greats. Rahul Dravid: hard work and tryst for perfection personified. Although, I have never been as big a fan of yours as I have been of Sachin or Lara in retrospect I think the main reason for that is you. You were the kind of guy my mother always wanted me to be (and still wants to be). Successful but satisfied in him. Someone who had his own way, who can tread his own path through adversities and adapt when he identifies the fact that his methods are not up to the mark. 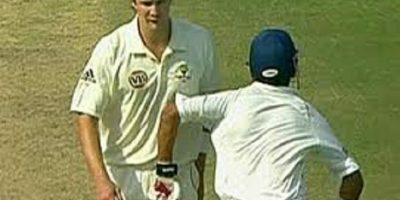 You Rahul Dravid were just the kind of man I used to despise. One who puts in the hard work but is satisfied by success and not much fame. In the end though when I saw tears in the eyes of my friends I realised my mistake and in your own way, without the world taking notice of it you proved a guy wrong for his own good for now he has only one word for you RESPECT. It helped me go through the pages of history and study why you are regarded as one of the greatest by many. At once, when you had declared when Sachin was on 194 and looking good for a double century at Multan I had hated you from the deepest corners of my heart but when India triumphed I realised how childish I was. When I saw Sachin run towards you and hug you after that win I also came to know why he is such a great. For both of you it was the colours that mattered Colours of the national flag. When I saw you battle through you 148 at Leeds in 2002 to help India register its first test win in England in 16 years and won the Man of the Match award I did not really understand why you got it when Sachin scored 193 and Ganguly led his troops with panache beside scoring 128 at a strike rate that was much higher than yours. It was only when last year the sports channel was showing the highlights of that test I realised that it was your right to win that award. The building was built on your shoulders, solid and strong as rock. I also remember how you scored those runs against Pakistan at Kolkata in 2005 to help India register their first win of the series. The only thing constant in both innings beside India scoring 407 in both of them (407/10 and 407/9) was you scoring centuries when the other members of the elite batting line up had failed to convert their starts. Don’t blame me for earlier forgetting your that contribution but what could have I done I had to remember Bucknor giving Sachin caught behind when the ball was 1-2 inches away from his bat. I had to notice young Dinesh Karthik playing his first crucial knock on the international level. And it was not your mistake as well when Sehwag scored a quick-fire 201 at Bangalore a week later and India lost that match. But now I remember those cover drives you played at Kolkata, the square cuts that you executed to perfection and the quick singles you scampered through. You kept quiet because it was the colour that mattered to you. The colour of victory and the colour self-satisfaction. I also, remembered those 233 runs that you worked hard for at Adelaide over when you were at the peak of your batting prowess. Those 233 runs, that mammoth partnership with Laxman and another 7o odd runs in the fourth innings helped us seal a test win down under after 22 years had gone down the drain. Four years down the line and you top scored for India at Perth to help us win and prove that even the Aussies can be turned into whipping boys. How much I wish that day soaked in glory to come back is only known to me. For me as well as you it was the colour that mattered. Colour of glory and colour of giving back as well. It is a shame then that four years down the line you had a poor tour of Australia and that was what the last all of us would see of you at the International stage. Your defences were broken time and again and time and again it was shown you are a mere mortal. To be frank that is the beauty of not just this game but this life. You reminded us that you had weaknesses as well. It was your hard work, sheer perseverance and determination that had made us compare you with a wall, call you Mr. Dependable and think of you as the most perfect batsman ever to take the field. In the end you showed us your frailties as well but in one way you also showed us that hard work one can achieve anything he wants in his life. In your career you redefined the ways, the mind-sets and the standards in the game of cricket. You were not just a cricketer but an ambassador of this game, of this country. You were the wolf who lived for the pack. In the end I would like to say that others created a fan out of me but in your own ways you created a fighter out of me. You showed me that the importance of patience and hard work. I know thank you is not a big word but that’s all I have to say. There is going to be no solace for that fact that you will no more wear the Indian colours. A cricket fan….and because of you a fighter as well….. I hv been reading a lot of articles on the same topic….really this ones the best………….it seemed as though u wrote jus what i wanted to hear…….and true Dravid created a fighter out of all of us!!! Rahul will always be remembered as the Wall… having met him once I was hooked to his charm and simplicity. He was the last of those classic player who mastered the art of wrist movements. None can ever replace him !